In Sydney, with almost 40% of the household income going towards housing it is little wonder that there is any money left for anything else after living expenses are met (food, utilities, schooling etc). Additionally, credit card debt is increasing hand-in-hand with the increase in the cost of living. The new Rudd government promises action, and Marquette Turner remain hopeful that their election promises of first home-owner saving’s schemes are just the tip of the iceberg of a myriad of plans to improve housing affordability. In the short-term, however, here are some suggestions to help you improve your chances of buying a property. If renting, don’t wipe investing from the equation. You CAN do both! While rents have also gone up over the last year, the rise has not been anywhere near as steep as increase in mortgage payments (due to increasing interest rates) and rising property prices. b) invest the money in an internet savings account (around 7.25% currently). Do not leave in a standard bank account as the interest returned to you is barely worth the cost of a stamp. c) for those with more confidence, the stock market is returning almost double such saving’s account: on average 14% this year. 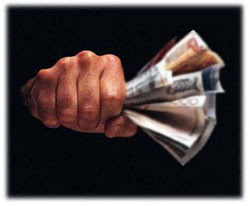 Money invested in the stock market can quickly be withdrawn (i.e. is liquid) and can be used for the down payment of a mortgage. d) some of you may even be in a position to consider to investing in a cheaper city to the one you’re renting in. In times like this it is especially important to keep a budget and spend wisely. The more you save now, the more can save and invest meaning that your money is working for you now so that when affordable opportunities present themselves later you will be ready. Move back in with your parents. If this is still an option, don’t dismiss it. Rather than pay rent to a stranger – help out the parents by providing an extra income source for them. Yes, the major cities in Australia are expensive. So move to a smaller city that is growing. Both cities are relatively cheaper and jobs are available. While this is probably the most difficult option, it may be the best long term solution for finding that affordable dream house. Despite high prices there will always be a potential bargain out there if you are willing to compromise a bit. The big thing when buying is Location, Location, and Location. Look for old houses which with some renovation. This could be the affordable option you were looking for. Whilst housing affordability may be at its worse, one’s ability to research and make sound investment decisions is probably the best it has ever been. Use the internet to educate yourself on processes, ideas and trends. Marquette Turner’s blog’s can provide you with useful insights, regardless of your experience, intentions, or available funds. Maybe things are looking up after all! Good luck. Next post: Marquette Turner Launches "Home-Page"